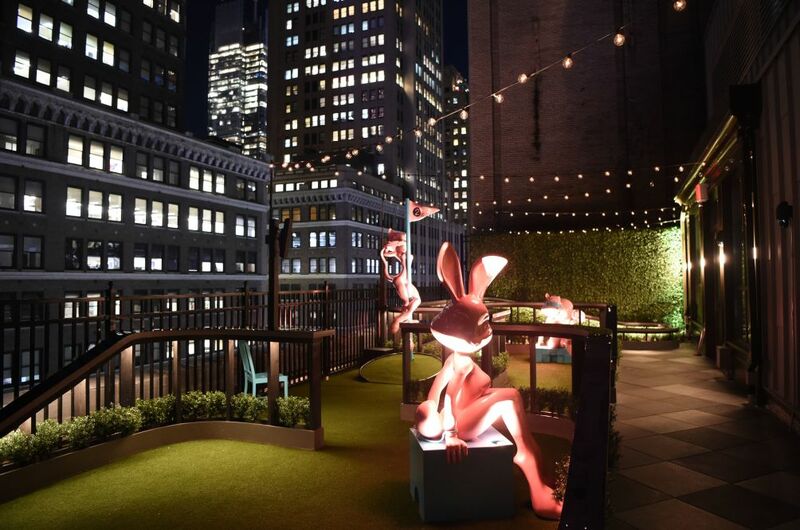 Take a trip down the rabbit hole this NYE with a fabulous New Year’s party at NYC’s Magic Hour rooftop bar and lounge. 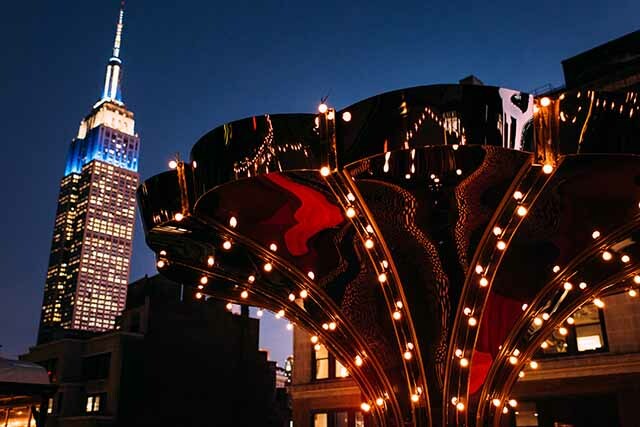 A whimsical, cirque-inspired venue with panoramic views of the city and the Empire State Building, Magic Hour hosts a New Year’s soirée that will give you a new perspective on luxury nightlife. 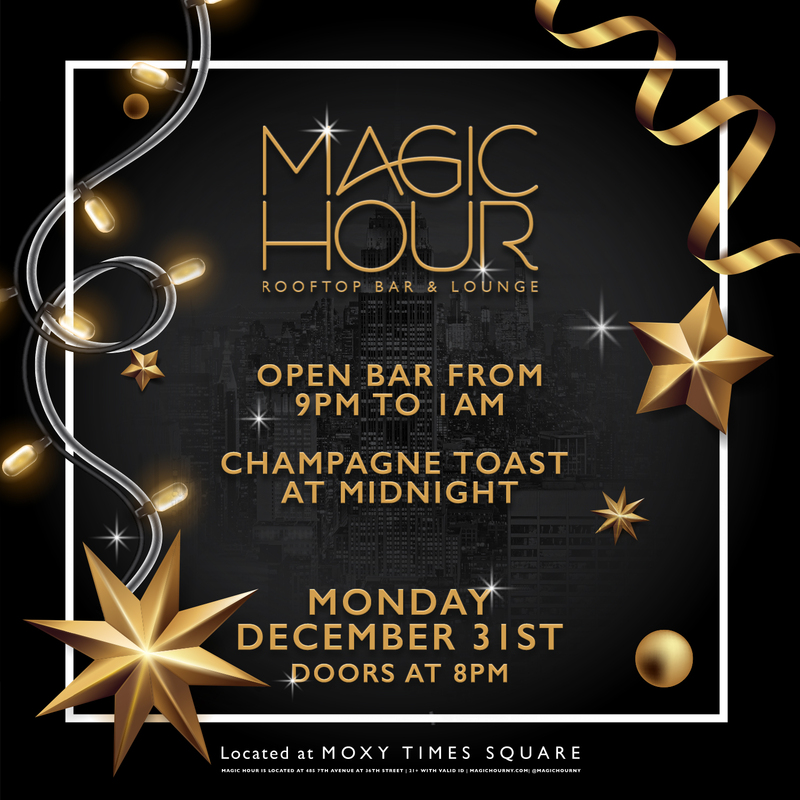 The New Year’s party at Magic Hour delivers the hottest amenities in NYC nightlife, starting with a 4-hour open bar pouring up your favorite bubbles, brews, and cocktails. A line-up of top DJ’s will be providing the soundtrack with live performances of Top 40, Hip-Hop, House, and mash-ups before leading a live countdown to midnight. Grab a glass of complimentary champagne for a New Year’s toast, and get ready to dance the night away. Looking to celebrate like nightlife royalty? Opt for VIP packages featuring reserved seating, bottle service, and an appetizer platter at your table. 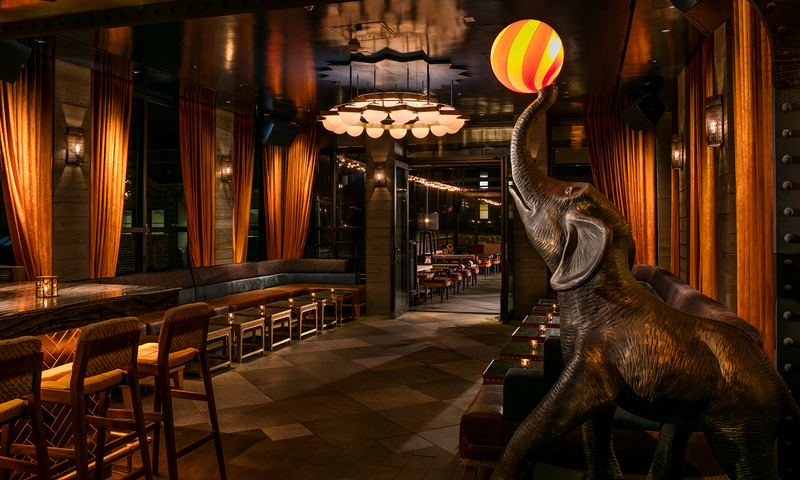 Located atop the Moxy Hotel, Magic Hour’s sprawling 10,000 square-foot rooftop venue joins the ranks of The TAO Group’s nightlife luminaries, including TAO, LAVO, Marquee, Beauty & Essex, and Vandal. 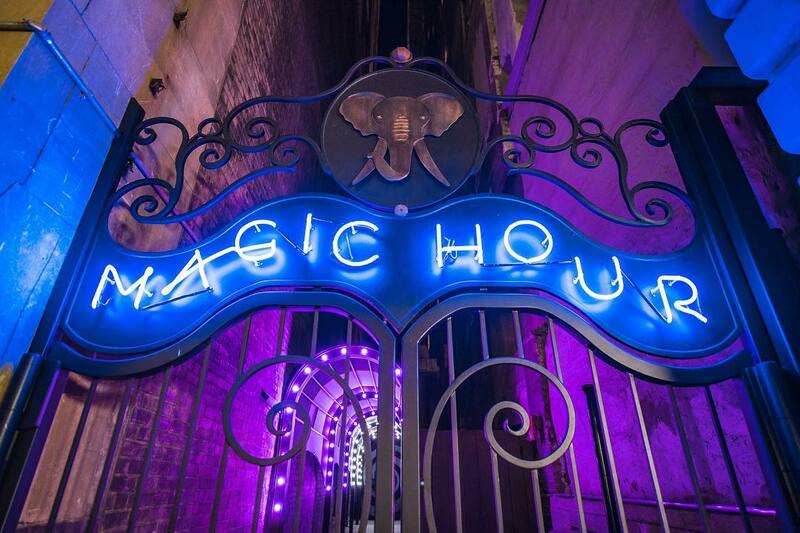 Magic Hour’s indoor/outdoor concept leads with a mystical entryway framed by colorful lightbulbs and anchored by a hypnotic spiral mural at the end. 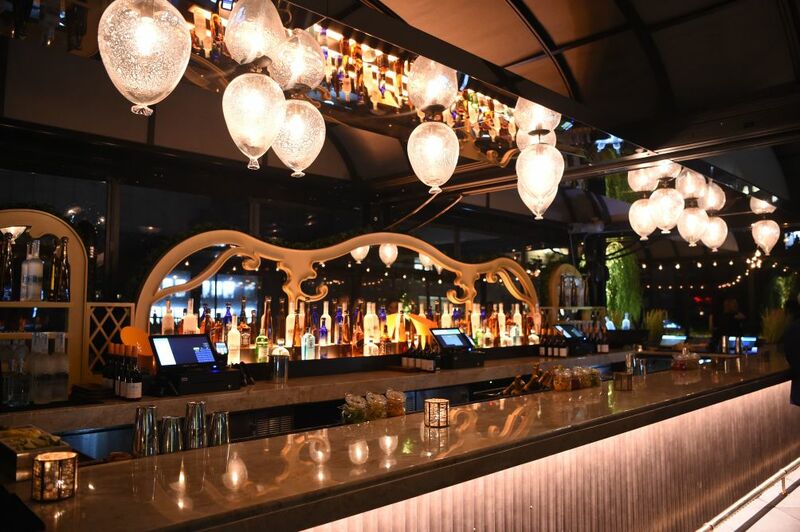 The indoor bar area is enclosed by panoramic glass walls and a glass ceiling decorated with foliage and string lights, providing incredible views of the city. 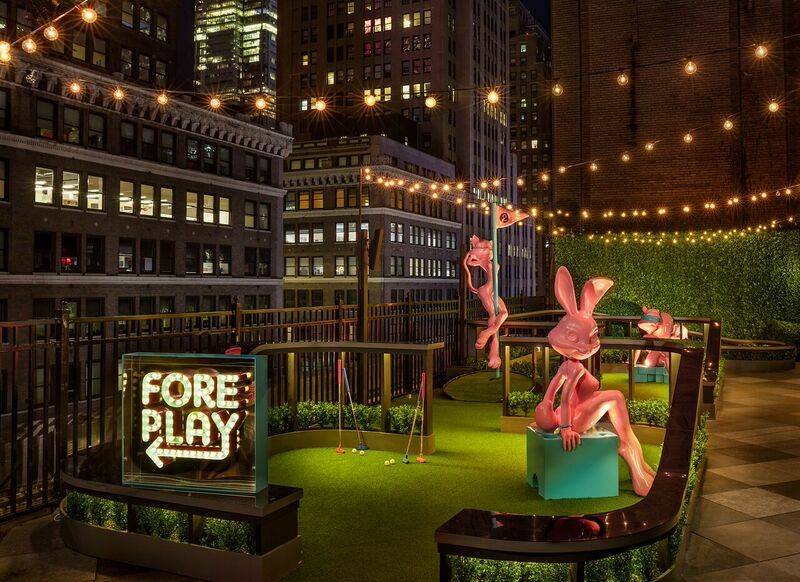 The outdoor terrace, with the Empire State Building in the background, features a miniature golf course and seating beneath a light-up carousel. 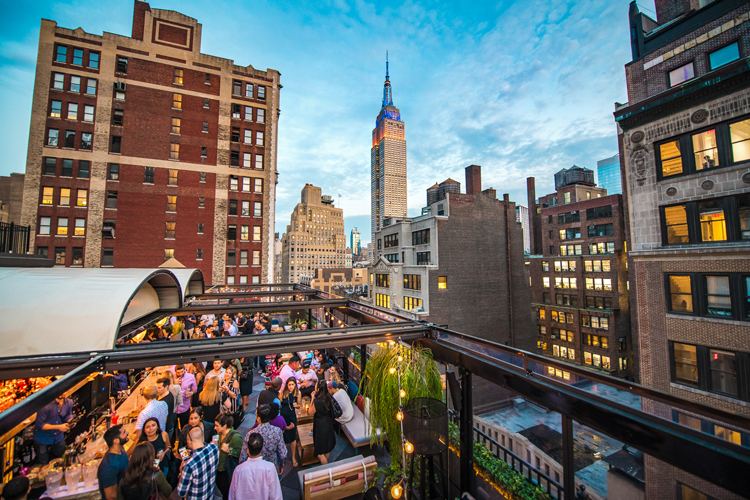 Perfectly Instagram-worthy, Magic Hour was the location of Rihanna’s FENTY PUMA after party. 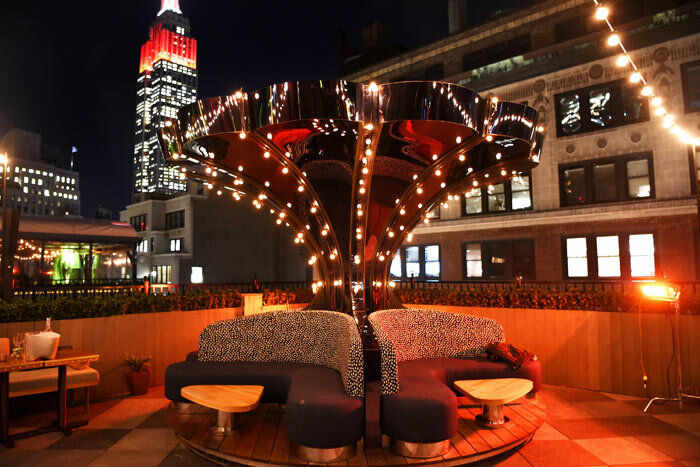 For a luxury rooftop party in the heart of NYC, The TAO Group’s Magic Hour delivers the ultimate nightlife experience this NYE.